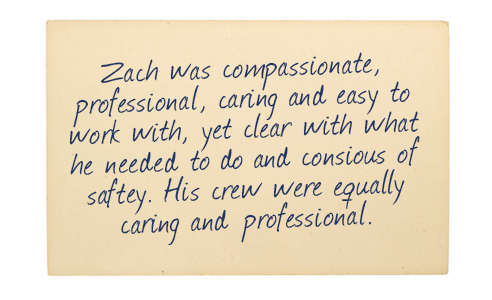 "Zach was compassionate, professional, caring and easy to work with, yet clear with what he needed to do and conscious of safety. His crew were equally caring and professional." 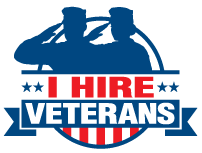 "Aftermath was very professional and completed the work in a timely and efficient manner. I would recommend them to future clients because of my experience with the professional work done during this stressful time. Good job, Jennifer. " 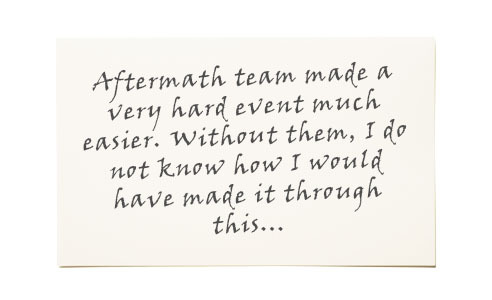 "Aftermath team made a very hard event much easier. Without them, I do not know how I would have made it through this. Corry went above and beyond my expectations. She was much more than the lead and for that I am more than thankful." "My father passed away and was left unattended for a few days with His two dogs in the house. 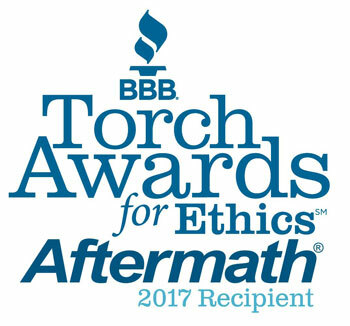 We called aftermath on a recommendation from the local police department. John and his team were so helpful, thoughtful and professional throughout this difficult process. They even helped us load my father’s Harley into our trailer because we didn’t have a ramp. John stood with us while his team worked and let us reminisce about our father with him. The team went through everything in the house and saved everything that they could for us. 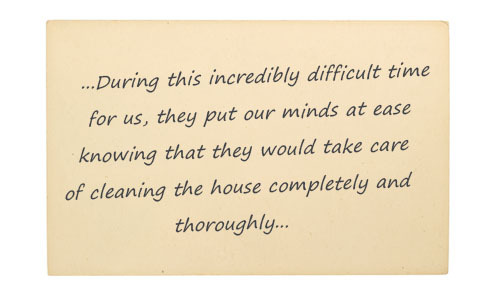 During this incredibly difficult time for us, they put our minds at ease knowing that they would take care of cleaning the house completely and thoroughly. Thank you from the bottom of our hearts, john and team. " 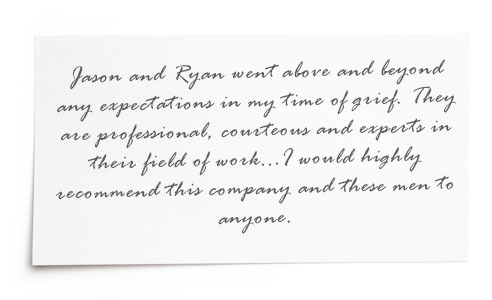 "Jason and Ryan went above and beyond any expectations in my time of grief. 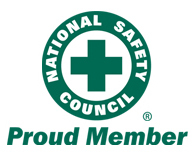 They are professional, courteous and experts in their field of work. They performed all work quickly and professionally. I would highly recommend this company and these men to anyone. " 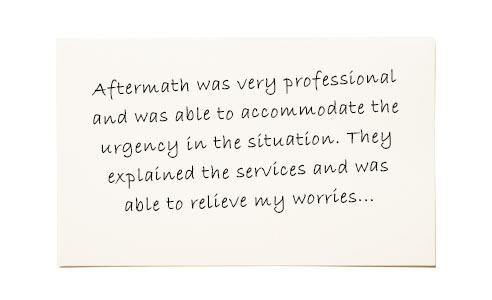 "Aftermath was very professional and was able to accommodate the urgency in the situation. They explained the services and was able to relieve my worries as they dealt with the insurance company. Other companies were unable to take the job or handle the job with efficiency to get the ball moving. Since I was needing the job done in a small window of time." 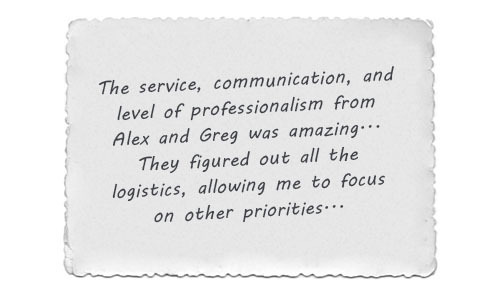 "The service, communication, and level of professionalism from Alex and Greg was amazing. They made an extremely difficult time bearable and easy to navigate. They took on having to figure out all the logistics and allowed me to focus on other priorities without having to worry about what they were doing. " 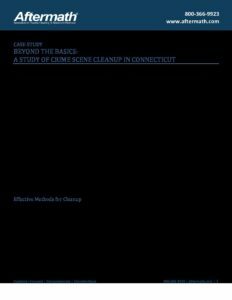 Does Homeowners Insurance Cover Cleanup After Traumatic Events? What Does an Unattended Death Mean for the Family of the Deceased?